This month on Trans Talk, we will first interview Parker Liu who will give us some breaking news on the The Kansas City Demonstration for Transgender Rights, which will be held at 2:00 pm on Saturday, October 27th, at the J.C. Nichols fountain at the east side of the Country Club Plaza. See this public link for more information. Una from this very Trans Talk program will be one of the speakers at the event, so make sure you plan on attending! 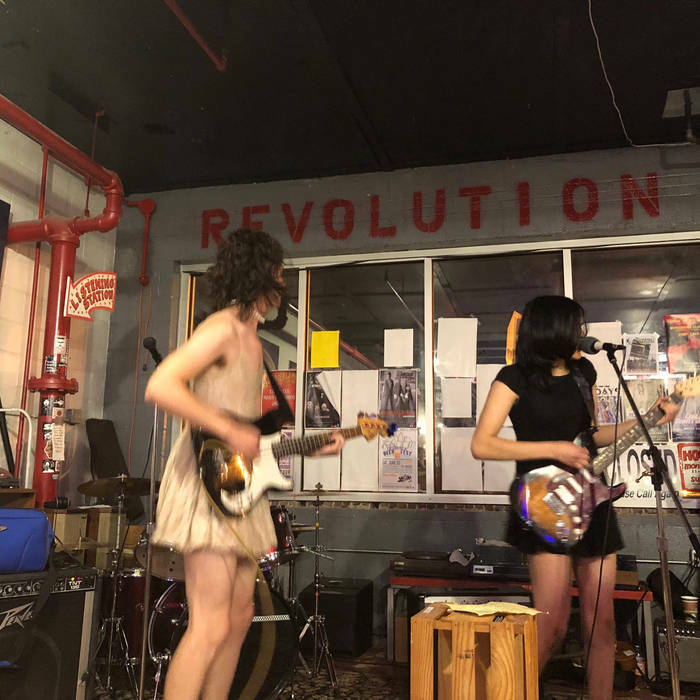 Then we will have live music in the studio from the group Evil Pillows, an all trans punk rock band formed right here in Kansas City! They are going to play some songs to help give us some courage and empowerment over the airwaves, and then talk about their band, their inspirations, and their music. Bonus points out there if you guess the origin of their name without looking it up! Find out more information about the band at their Bandcamp link right here! We will have a take on the transgender news of the month, which is going to be some of the most important news we’ve ever reported upon on Trans Talk, and then finish up the show with the community calendar update. I do hope you will be able to join us this Saturday, October 27th at 1:00 pm on 90.1 KKFI, Kansas City Community Radio! You can also stream the program live on kkfi.org, or via various apps on your phone. This entry was posted in Activism, Education, Entertainment, History, Legal, Politics and tagged evil pillows, music, protest on October 26, 2018 by . Or at least that’s how the news spun it. In reality, what happened was this: transgender rights protesters took control of a busy intersection in Hollywood, California, linking arms, chanting, and refusing to let traffic cross. Eventually someone not involved with the protest took umbrage, and came up to hit one of the transgender protesters. The assailant tried to flee, but was instead grabbed by a protester and someone watching, taken over off-balance and rather efficiently sideways-pile-drivered into a car. I’d say “well done”, as they seemed to manage the assault pretty darned well, but overall we can’t be happy at violence on TDOR. It’s clear that blocking busy intersections is going to get a reaction, and unfortunately one must be ready for whatever reaction may come. 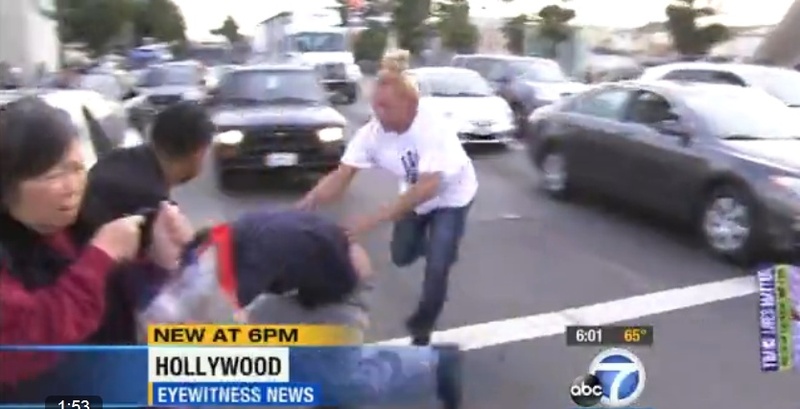 VIDEO: Fight breaks out at transgender protest against violence | Watch the video – Yahoo News. This entry was posted in Activism, Politics and tagged california, hollywood, protest, TDOR on November 21, 2014 by .